In the past, Willow Glen Homes built a lot of homes at Oakmont Village, the retirement community south of Santa Rosa off Highway 12. The homes are located at Highway 12 and Pythian Road, an existing entrance intersection to Oakmont. 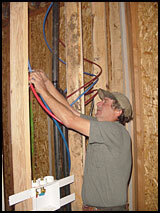 The project consists of single-family homes, duplexes and triplexes. Oakmont has approximately 3,000 homes. 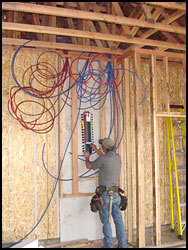 About 80% are freestanding, 15% are attached to one to three other units, and 5% are apartments. Oakmont had a population current of about 4,500 when this project was under construction. “These homes are for the baby boomers who are starting to retire,” says Jim Kempers, Residential Manager for LeDuc & Dexter, the plumbing contractor on the project. 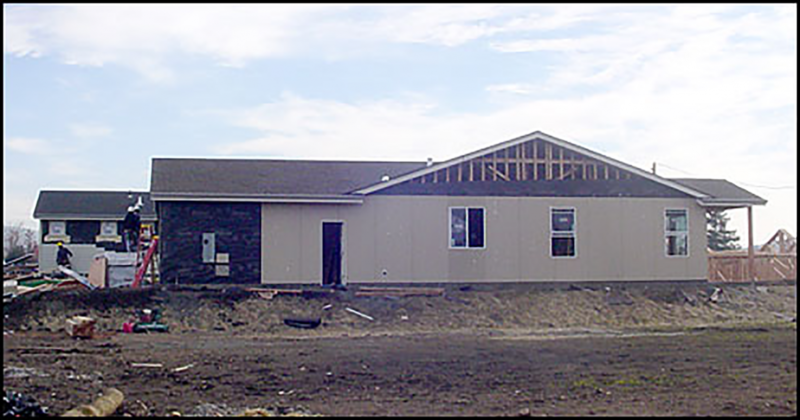 There are seven different floor plans for the single-family homes, which are approximately 2,700 square feet in size with two bedrooms and two bathrooms. 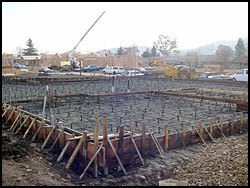 As seen in the pictures, the project was in the early stage with the models under construction, but not completed. 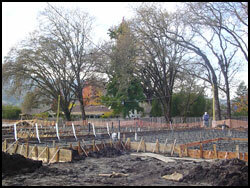 LeDuc & Dexter was working on the first phase, which includes 26 homes. 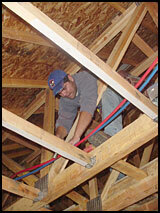 LeDuc & Dexter is using Vanguard piping for all the water connections in these homes. 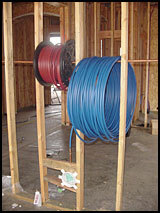 Vanguard piping is made from flexible, bendable plastic with a simple color code, red for hot water, blue for cold water. 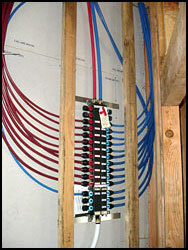 All of the water lines originate from the Manobloc, a Vanguard manifold that has each connection labeled and accessible to the homeowner. The Manabloc is typically located in an easy to access closet location and the homeowner is able to turn off or on an individual line to a sink, shower or tub because each line is a “home run” from the Manobloc directly to each designated plumbing fixture. “It seems like we are using Vanguard piping more and more on our jobs,” says Toby Anderson, LeDuc & Dexter Foreman, who was on site at Oakmont.